It's been 3 years since Revalation (of EMS) brought you a solo project. 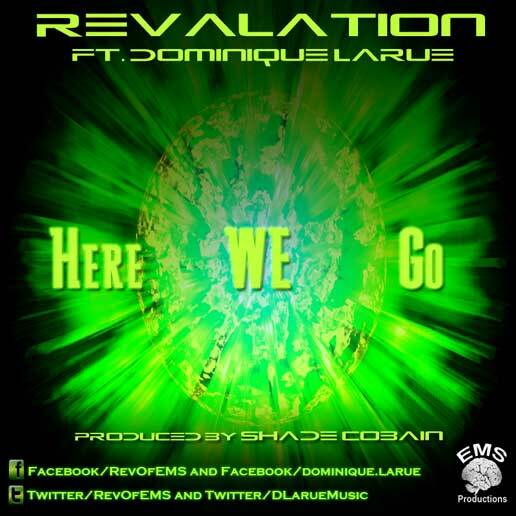 Doing numerous features for side projects and his crew has kept him busy, but now he finally brings you his first single, Here We Go ft. veteran Ohio femcee, Dominique Larue and produced by Pittsburgh's Shade Cobain. Be on the lookout for his upcoming mixtape Feature Presentation due out this summer. For more info you can follow him on Facebook and check out his videos on YouTube.